On Thursdays, I usually take my 4-year-old to my parents and then I head to my office for the day to grade, prepare for class, etc. But my parents are in Florida, so I'm with Mack today. 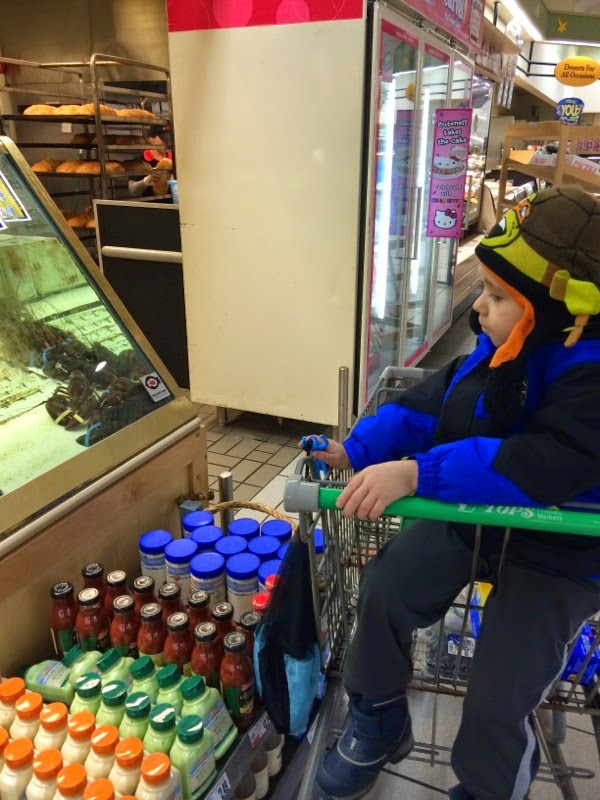 It was too cold to play outside, so all I could think to do was go to the grocery store and then Subway for lunch (his choice). Mack likes to look at the lobsters so we spent a moment doing so. 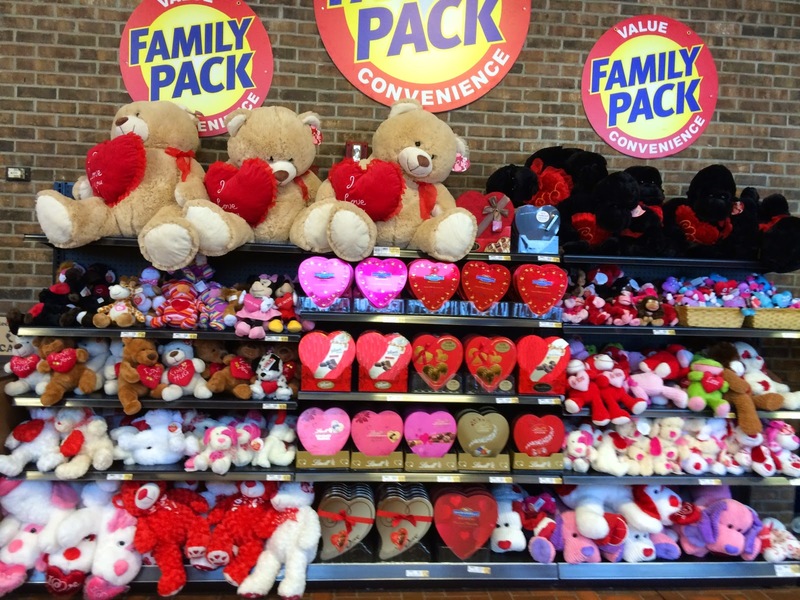 Suddenly, "Your Love is Driving Me Crazy" came piping through the store. This song will stay in my head for days. Thanks, grocery store soundtrack maker. The song put a little pep in my step, I won't kid you. 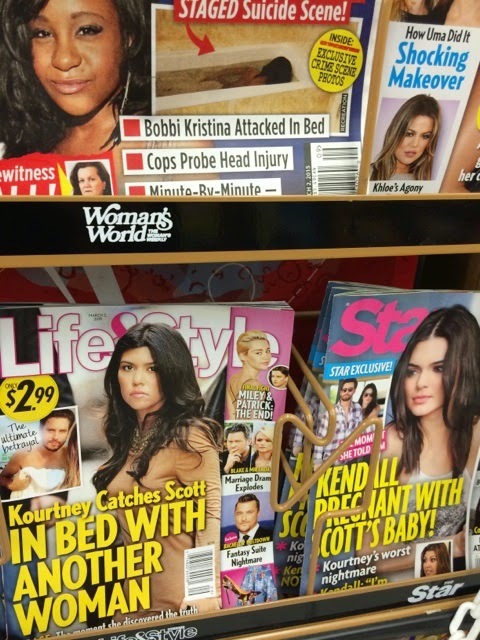 Then I came across Kardashian news. Fast forward to lunch. Mack wanted to go to Subway. I took our picture. Look how this winter has aged me. I like Subway better than most other fast food places. I don't have much to say except maybe it's the best of a bad lot. When I finish off a veggie delite, I certainly feel better than when I drop a cheeseburger in my stomach from McDonalds or other burgercentric places. 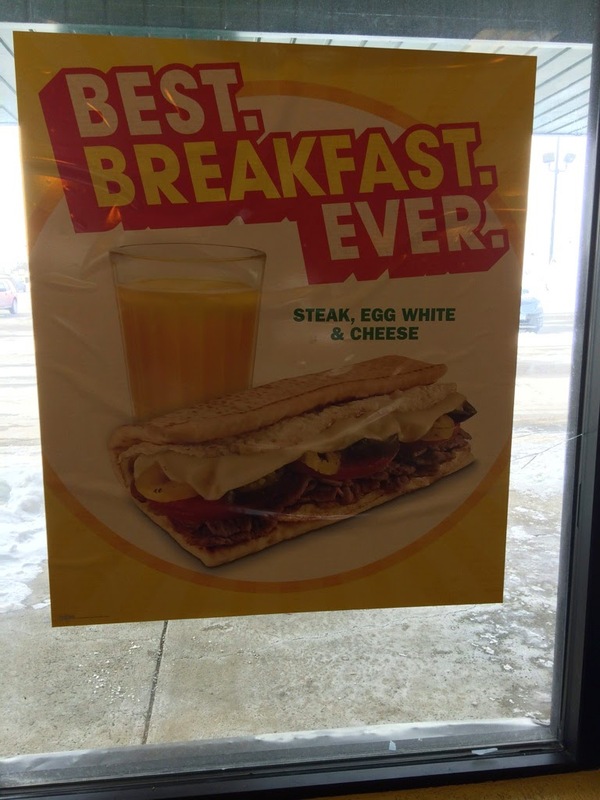 However, with due respect to Subway, I doubt they have the Best. Breakfast. Ever. 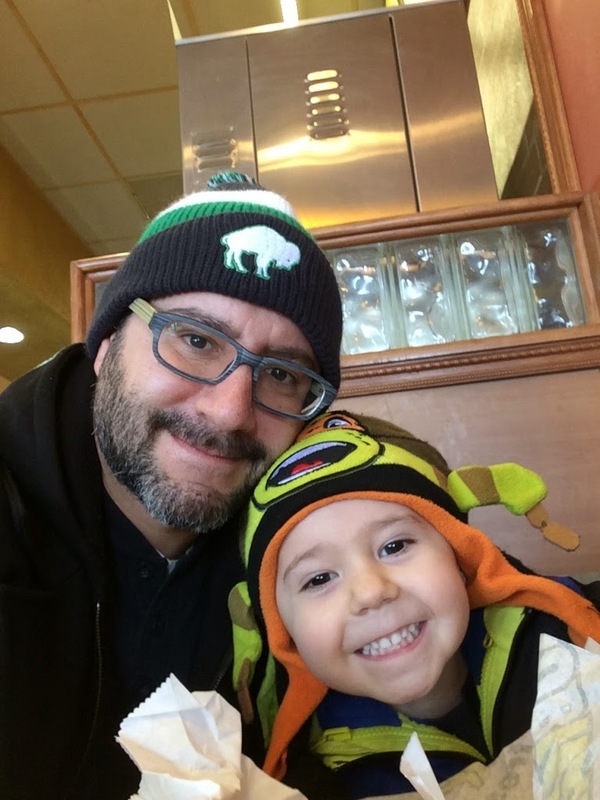 Recently, my friend and fellow sociologist of everyday life Matt Loveland wrote a good piece about Subway. Check it out here. Well, I'm writing this while Mack watches Calliou. Don't judge. Soon he'll take a nap and I can do some grading and e-mailing. Do 42-year-olds listen to Toro Y Moi? 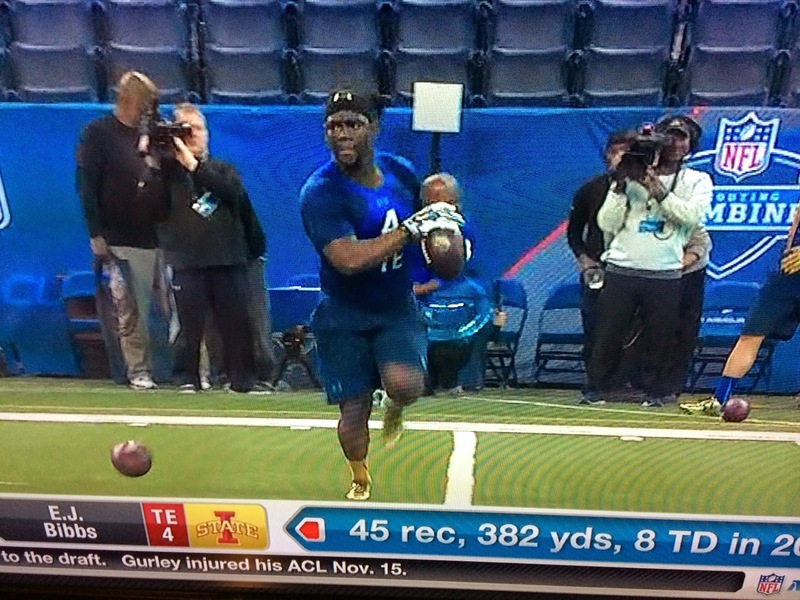 What's the rule book say about that? Whatever the case, I like this song. It has positive energy, and I can use some. I haven't studied the lyrics or analyzed the video. I'm taking my sociology hat off for three and half minutes and enjoying the music. My wife and I watched Cold in July last night. A reviewer for Variety described it as Texas pulp fiction. Don Johnson is in the movie. I have to say, he steals some scenes. We liked the movie. Good, not great. There were odd and surprising moments. I won't spoil any plot details here. All I'll say is the payoff came at the end, in the form of the song that played when the credits rolled. It was "Wait" by White Lion, a song from my adolescence. Enjoy this, my friends. Enjoy. 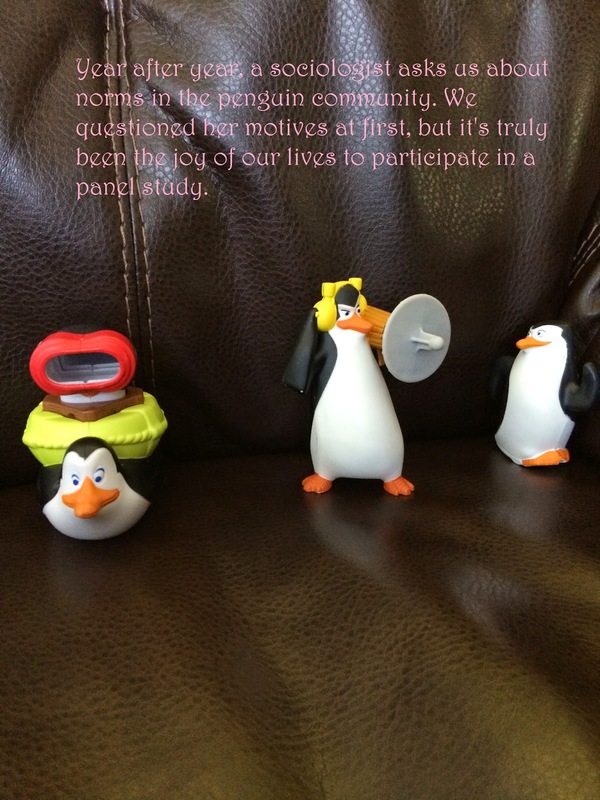 I made this to have fun with students in my Research Methods class. 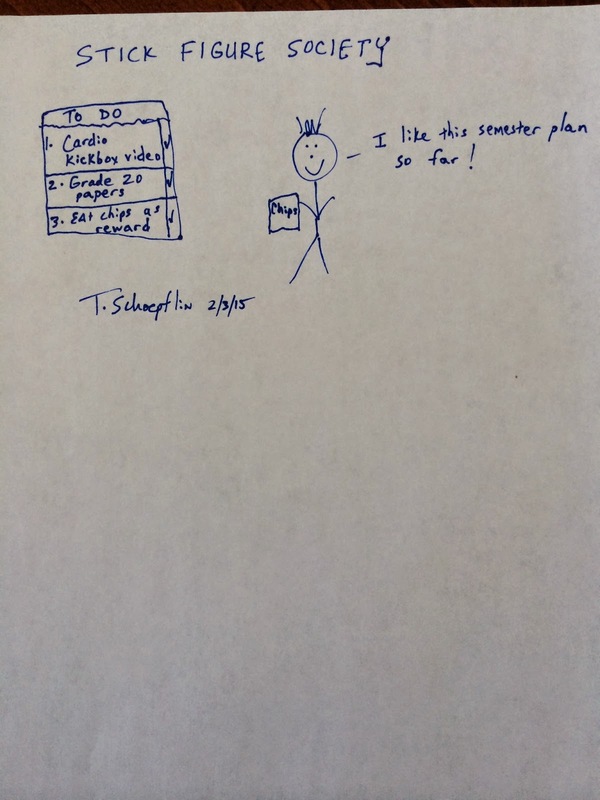 Also, this is my 300th post on this blog. Celebrate! 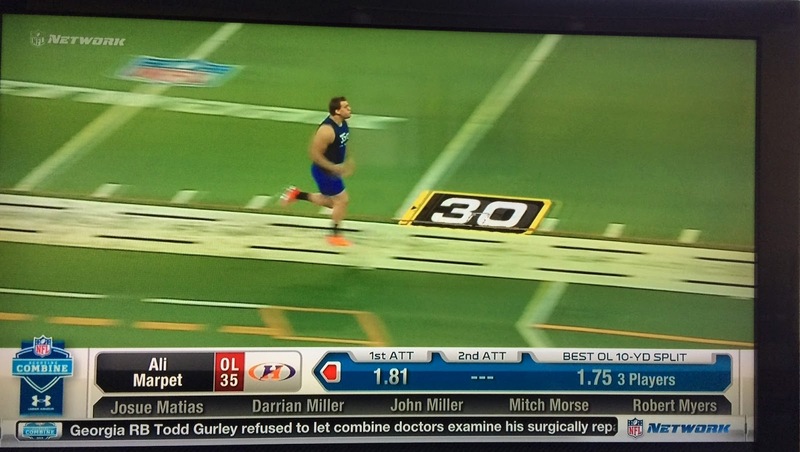 A glimpse of the 2015 NFL Scouting Combine. Recently, Ellen DeGeneres did a spoof of 50 Shades of Grey, featuring Matt Lauer. And this concludes your popular culture in America update. In the book I assign in my Race & Ethnicity course, there is a excerpt from Eduardo Bonilla-Silva's Racism without Racists book. In looking around for a video related to the reading, I came across this conversation between Bonilla-Silva and Mark Anthony Neal. Just wanted to share. Time Out Doesn't Work. Also, It's Freezing. Our 4-year-old doesn't like following rules at home. Obedience is not his thing. There is the matter of the best way to discipline your child. I won't say much about the approach that my wife and I take, but I will say that time out is in the rotation. For our wonderfully spirited 4-year-old, time out doesn't work. He doesn't take it seriously. Although I haven't scientifically measured the impact of time out on his behavior, I can confidently conclude that it doesn't change anything. So be it. We all have cabin fever. It's 0 degrees today in the Buffalo-Niagara region. It has been snowing since November. 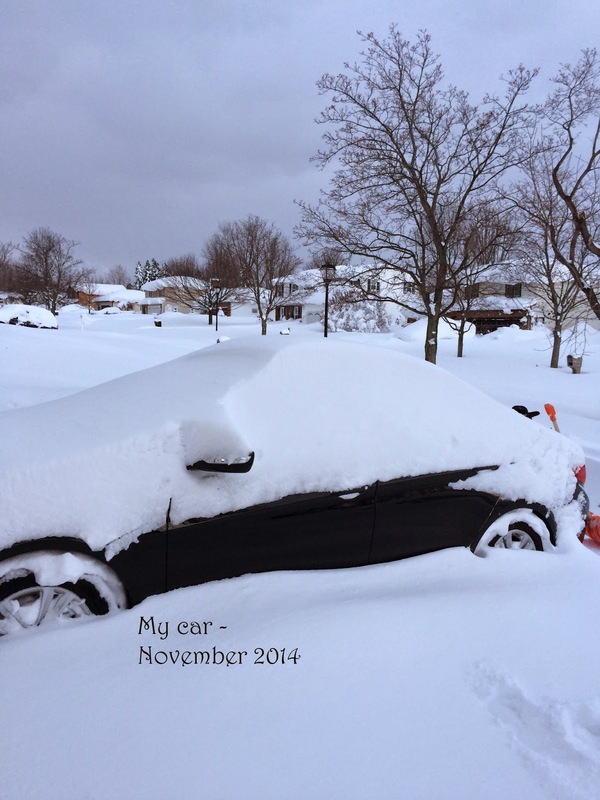 I mean, just watch this one minute video I made during a snowstorm in late November. We do what we can to enjoy the winter. We went ice skating, we went sledding, we make hot chocolate, we play the Wii as a family (shout out to Santa for bringing Wii U for the kids, it's awesome). But sometimes the cold and snow beats you down, and this is one of those times. When you're stuck inside the house for hours on end, it's inevitable that kids will get restless and occasionally get in trouble. I have no platitude to insert here so let me just move on to the next paragraph. To conclude: time out doesn't work for our four-year-old. But I'm sure it works in other households, so power to the parents for whom it works. I shall look on the bright side of life. One day it will be spring. Until then, I'll do what I do: shovel snow and make things in the crock pot. Today it's Buffalo Chicken Chili, even though a ranch dressing packet and cream cheese have nothing to do with Buffalo. I'm not a purist, so game on. Yusor Abu-Salha: "Growing up in America has been such a blessing"
I wanted to share this audio clip of Yusor Abu-Salha, one of the victims in the shooting at Chapel Hill this week. 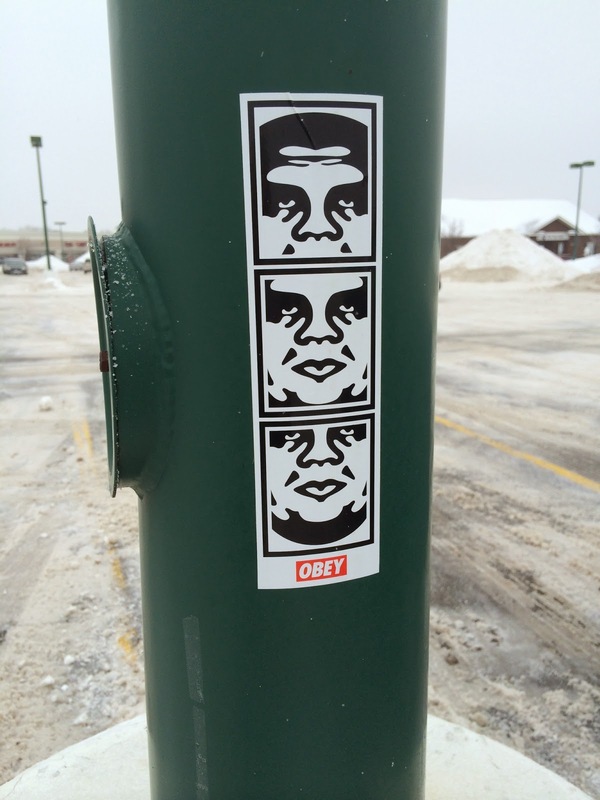 Sticker in a parking lot caught my eye this morning. 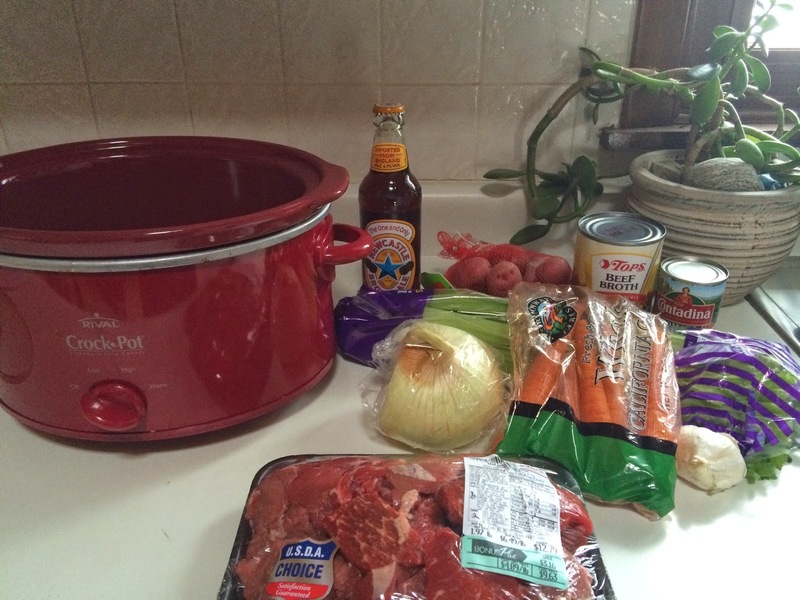 "Put me on a pedestal and I'll only disappoint you..."
"I think you're a joke but I don't find you very funny..."
"Hearty Beef & Beer Stew for the Slow Cooker" - let's give this a whirl. Recipe here. Don't mind my not-HGTV-approved backsplash. Update: So how did this stew turn out? A miserable failure. I don't know where I went wrong, but it didn't come together. I'm thinking of joining Facebook just so I can tell my family and friends about this horror show. I don't even think I can eat this for leftovers tomorrow. This is not the way I wanted to start the week in the kitchen. Crud. This is a Great Idea. And Humanity Still Exists. Love this idea. Think I'll make this on Valentine's Day. 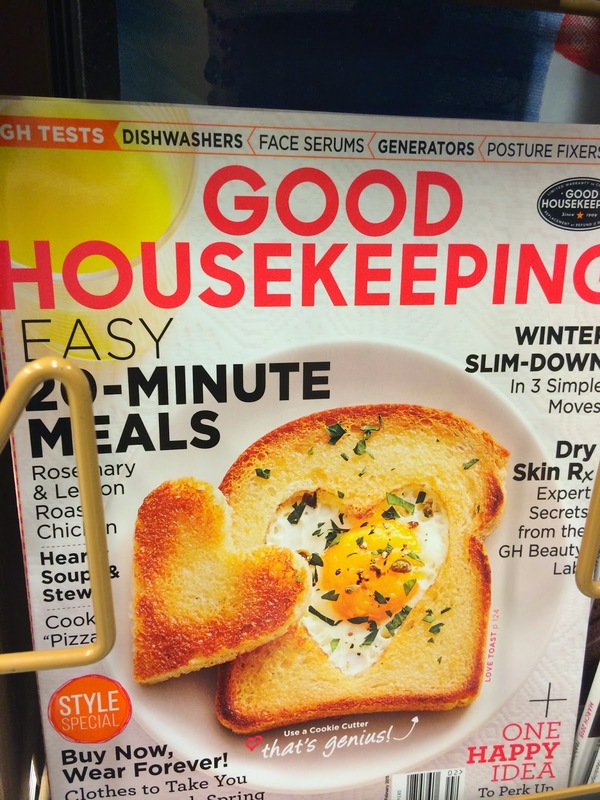 I had time to page through this issue of Good Housekeeping when I was in line at the grocery store this morning. The article called it "love toast." I dig it. The lines were long because there were only two cashiers working. The person behind me in line noticed a fellow customer with only a few items in her cart. The person (I'll call her Mary to make this clearer) suggested to the customer that she could go through the self-scan aisle because it would be much faster. The woman was reluctant to do so; she explained she didn't know how to use the self-scan technology. I think I heard her say something about being embarrassed about not knowing how to do it. So Mary told her fellow customer she would show her how to use the technology. The woman was surprised but took Mary up on her offer. Mary walked her through the process until the customer was all set and finished with the process. And then Mary returned to a "regular" line (she had a lot of items in the cart. Like me, she apparently preferred to wait to be checked out by a paid employee). The woman was very grateful for Mary's assistance and thanked her numerous times. What Mary did was the nicest act in public I've seen in a while. And Mary's instruction was some of the best teaching I've observed since a different trip to a grocery store that I describe in a previous blog post. It's easy to observe people acting like fools in public. So it was refreshing to see an act of kindness play out this morning. So that's a dose of humanity that I wanted to share. I'll share a picture of the love toast I make on Valentine's Day, assuming I follow through. In the meantime, let's raise our glasses to toast this eggcellent moment of humanity. P.S. I live for puns. A cold take comes too late. It's not bold enough. It's not provocative. It just kind of sits there, failing to inspire anyone to share. See, for example, my cold take on elf on the shelf, or my cold take on the Super Bowl 48 halftime show. I did not enjoy the Katy Perry halftime performance. Her songs all sound like commercials to me. I'm not sure why Lenny Kravitz had a cameo, but I guess he was playing to 1990s nostalgia. I will say that just typing Lenny Kravitz's name makes me want to hear "Are You Gonna Go My Way," a song I'm tempted to include in my all-time favorite 200 songs list. Let me tell you about that song: we danced to it many a night on the stage at the Old Main Inn in Fredonia in our undergraduate days in the early 90s. As for the halftime show, I do think Missy Elliott did a good job and I believe she outperformed Perry. The commercials during the Super Bowl were mostly humorless, or flat out depressing. My 7-year-old saw the Nationwide commercial. It caught us both off guard. It scared him and left a pit in my stomach. I think the best commercials in recent years aired months before the Super Bowl, like the Geico commercials with Salt N Pepa and Ickey Woods. What is it with late 80s-early 90s nostalgia? I guess we can't help ourselves. Well, we all know how the Super Bowl ended. Pete Carroll will be judged harshly for the rest of his life for allowing a pass play to take place at the end of the game. The masses say that Marshawn Lynch should have ran the ball instead. I'm actually one of those people who didn't think it was the worst call ever. It could have worked. Malcolm Butler made an amazing play, so credit to the rookie for being prepared and being in the right place. I'm sure Carroll regrets the call, same as I regret not making better guacamole during the Super Bowl. It wasn't my best work. My cheeseburger sliders weren't special either. But let's not despair, there's always next year. I think the highlight of my weekend was watching the documentary about Quiet Riot ("Well Now You're Here, There's No Way Back"). I feel like smashing guitars and joining a metal band. Not really, but I seriously liked the documentary and recommend it. I think you'll like it, even if you didn't scribble Quiet Riot on your book covers in high school in the 1980s (I did). In other music news, I heard "Poetry Man" by Phoebe Snow on the radio when I was driving somewhere this weekend. It's a lovely song. So now there are Quiet Riot songs rattling around in part of my brain, and "Poetry Man" calmly resides in another part. Or are they playing together in the same part? 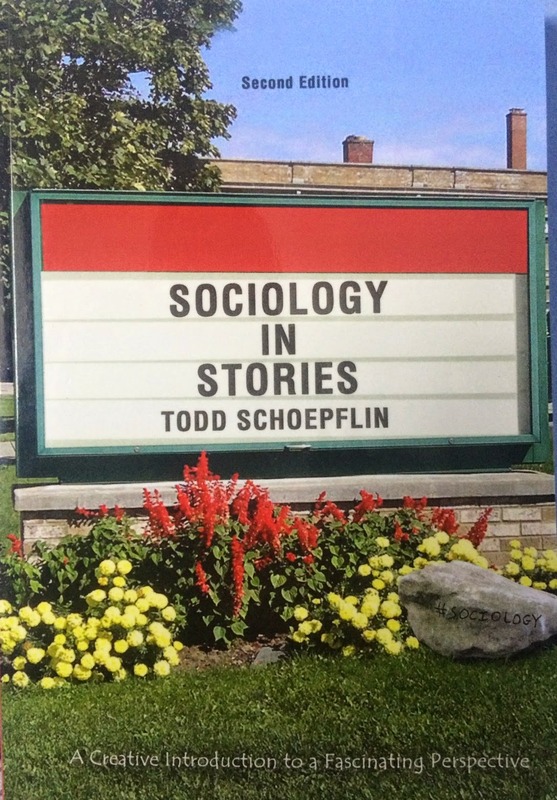 I don't know, I'm a sociology professor. I wonder how this brain activity will influence my preparation for classes tomorrow.